In 2014, 2,471,000 students enrolled in higher education, eight times as many as in 1960. Today, a little over six in ten students enrol at university. This share has however decreased over the last 50 years due to the diversification of the training on offer. Numbers in higher education have multiplied by eight in 50 years (table 09.01). They have therefore increased from 310,000 students enrolled in 1960 to 2,471,000 in 2014. Demographical changes are expected to cause a new increase in the next ten years, with numbers exceeding 2,800,000 in 2024. A new growth in the proportion of Bac holders in a generation or rates of continuing in higher education could further extend this increase. The rise in the number of students was initially principally led by the demographic growth of the 1950s and 1960s. Expanded access to the Baccalaureate was a determining factor, particularly between 1987 and 1995, a period during which the proportion of Bac holders in a generation increased from 33% to 63%. After a period of stability, this proportion recently grew significantly, from 62% in 2008 to 77% in 2015 (table 09.01). This development in access to the Baccalaureate is due to a diversification in the offer, firstly with the creation of the technological Baccalaureate (1968), followed by the vocational Baccalaureate (1985). The latter in particular explains the recent increase in the proportion of Bac holders. The aspirations of young people and their families to achieve a higher education qualification, justified by the rise in unemployment, has also contributed to the marked increase in the number of students (chapter 21). In 2014, 39% of 25-49 year olds had higher education qualifications, compared to 28% in 2004 (chart 09.03). During the 1960s, long university courses led the developments in higher education (table 09.01): their proportion increased from 69% in 1960 to 75% in 1970 (excluding DUT preparations). They then decreased continuously for around 40 years, reaching 57% in 2010, before increasing again very recently (chapter 12). During the 1970s and 1980s, preparations for DUT (university technology diploma) and especially STS (Advanced technician's section) led most of the growth in higher education, related to the significant increase in the number of Bac holders. Between 1970 and 2014, the proportion of students in "other institutions and courses" (see definition) increased from 15% to 24%, demonstrating a diversification in courses giving access to higher education. Since 2000, numbers in private higher education have increased by 58%, while total numbers increased by 14% over the same period. The private sector had 438,000 students in 2014, which represents one student in six (chart 09.04). It accounts for around a third of STS and engineering school numbers, and all the business and management schools. The growth in French higher education numbers over the last 15 years can be primarily explained by the increase in the number of foreign students (chart 09.05), mostly from foreign education systems. They represent 12.1% of students, compared to 8.1% in 2000. Extract from the chapter "09. changes in higher education over the last 50 years: growth and diversification". The proportions of Bac holders in a generation for the sessions from 2012 to 2015 have been updated based on the demographic review published by Insee in March 2015. Values may therefore differ from those published last year. This balance sheet provides provisional population estimates from 2012 onwards. The proportions of baccalauréat holders in a generation for the 2012 to 2014 sessions are therefore provisional. Backcast data for the period 2004-2012 following the change in the Employment survey questionnaire in 2013. This backcasting does not permit correction of any shortfalls related to changes in the questions on education. 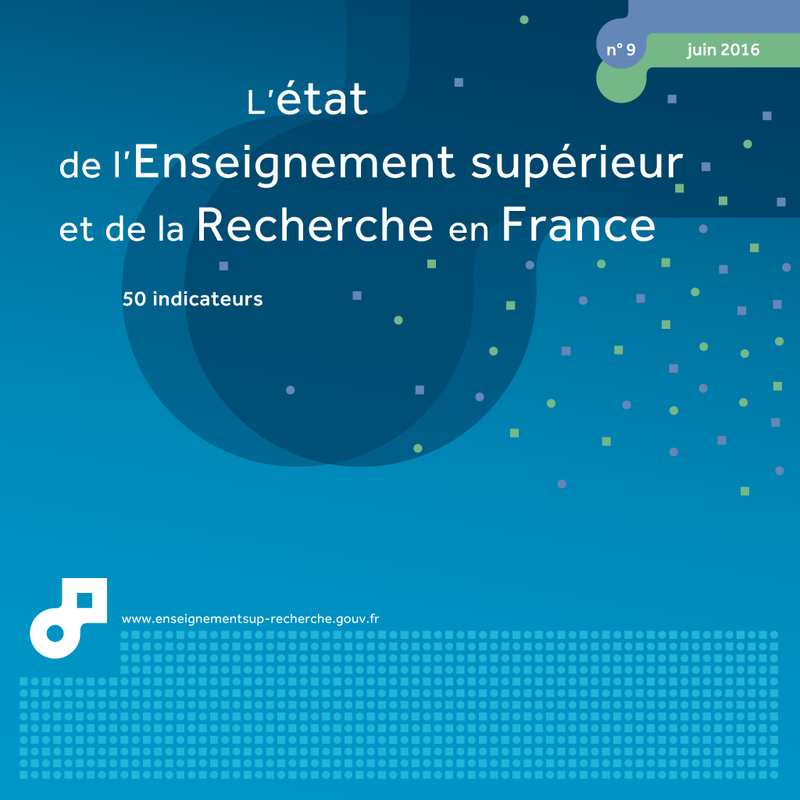 In 2015-16, according to the forecasts from the provisional baccalauréat results, the career choices made in previous years and the initial information available for the year in progress, the number of students in higher education as a whole should increase by 1.6%. This corresponds to around 40,000 extra students in one year. Rates of entry into higher education should be slightly higher than the previous year, due to an increase in the number of general series baccalauréat holders. By 2024, the number of baccalauréat holders should have increased significantly compared with 2014, as a result of demographic changes. If trends in terms of career choice, continuing studies and demographics persist, higher education should welcome over 2.81 million students in 2024, 335,000 more students than in 2014.